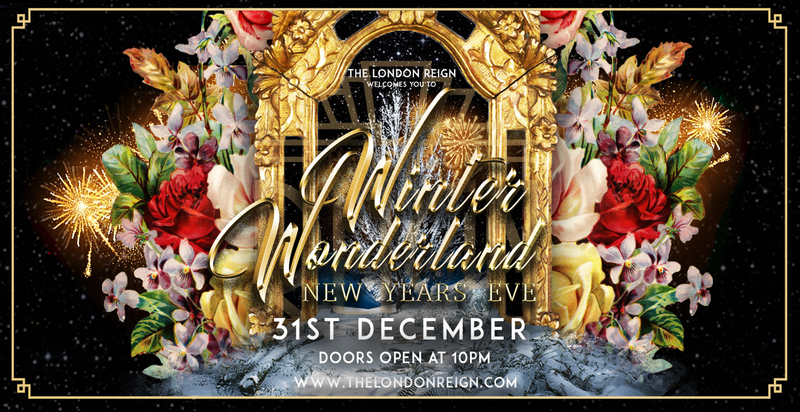 The London Reign Presents New Years Eve in Winter Wonderland. The London Reign welcomes you to celebrate the new year in our winter wonderland. With an amazing year coming to a close we want to wish our friends and family a happy new year and we look forward to celebrating it with you all. Expect the glamour and opulence that The London Reign is famous for. The London Reign, London's only show club.